The first time I ever read the dictionary I thought it was a poem about everything. Steven Alexander Wright (born December 6, 1955) is an American stand-up comedian, actor, writer, and film producer. 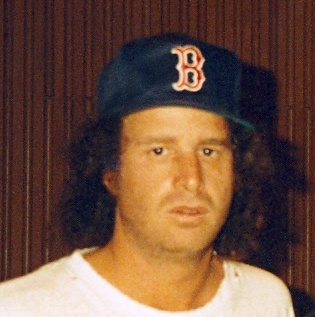 He is known for his distinctly lethargic voice and slow, deadpan delivery of ironic, philosophical and sometimes nonsensical jokes, paraprosdokians, non sequiturs, anti-humor, and one-liners with contrived situations.Wright was ranked as the 15th Greatest Comedian by Rolling Stone in a list of the 50 Greatest Stand-up Comics. His accolades include the Academy Award for Best Live Action Short Film for writing and producing the short film The Appointments of Dennis Jennings (1988) and two Primetime Emmy Awards nominations as a producer of Louie (2010–15). My uncle was a clown for the Ringling Brothers Circus, and when he died, all of his friends went to the funeral in one car. Last night somebody broke into my apartment and replaced everything with exact duplicates... When I pointed it out to my roommate, he said, 'Do I know you?